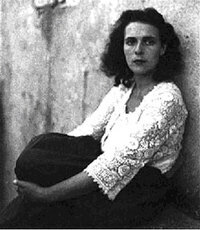 Leonora Carrington was an English-born Mexican artist, surrealist painter, and novelist. She lived most of her adult life in Mexico City, and was one of the last surviving participants in the Surrealist movement of the 1930s. Carrington was also a founding member of the Women’s Liberation Movement in Mexico during the 1970s.